Rosecrans continues to move his reserves. After noticing the delay, Rosecrans orders Wood forward again to relieve Negley. There is some debate as to whether the meeting was professional or confrontational. 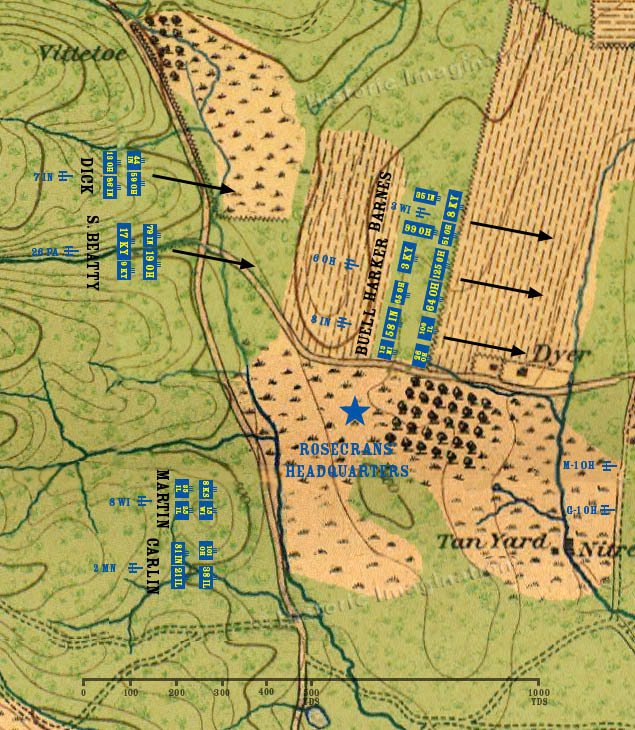 Van Cleve’s division is ordered to a forward position where it can react better to unfolding events.